Nokia 8 is the company’s flagship smartphone for 2017 that was launched with some great specifications like dual cameras with Zeiss optics, Snapdragon 835 processor, great build and more. As all of the reviews of the phone suggested, the phone had a below average camera as compared to the camera of other flagships at the same price range. 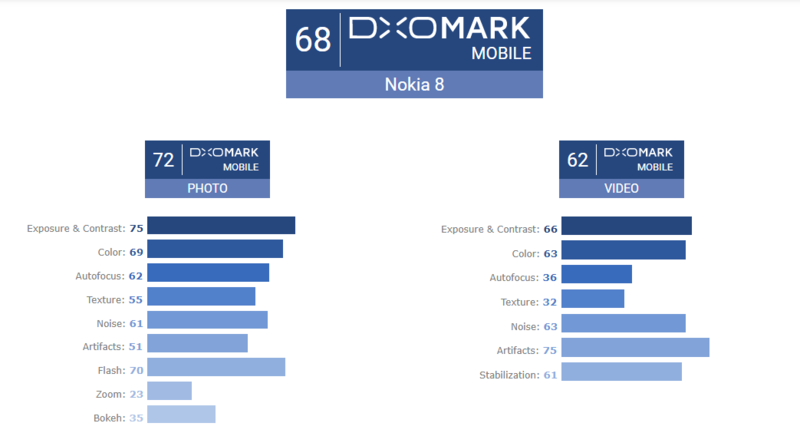 DXOMark has reviewed the camera of the phone, and the Nokia 8 DXOMark scores are now out which might have surprised everyone. 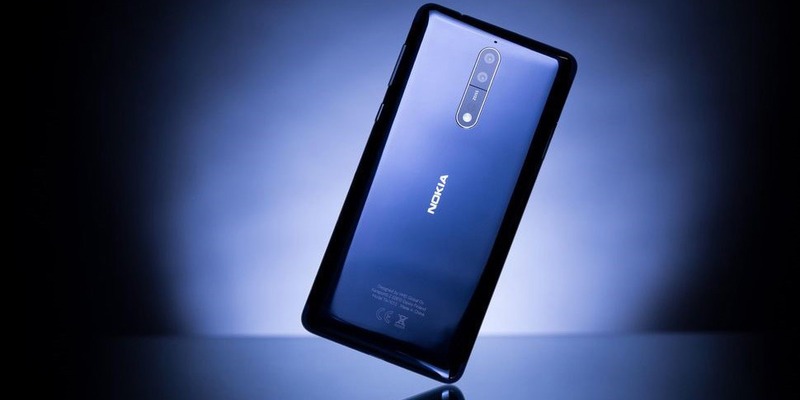 With an overall score of 68, the Nokia 8 has scored less than three-year-old iPhone 6 and even lesser than Lava Z25 which is a smartphone from Indian smartphone manufacturer, Lava. This has again raised a lot of questions related to the DXOMark scores. Is the camera of Nokia 8 so poor that it cannot even compete with a budget smartphone having a single camera setup? Talking about individual scores, the phone scores 72 in photos and 62 in videos. Comparing these scores with other phones, the iPhone 6 scores 70 in photos and 78 in videos, Lava Z25 scores 74 in photos and 62 in the videos. Zoom capabilities are low: a strong loss of details and slight noise instabilities are visible. What is your take on the Nokia 8 DXOMark scores? It seems the camera software and processing of the phone needs an update to perform much better regarding the camera. Do let us know what do you think via the comments section.